Identity management is critical to ensuring that licensed or owned electronic content is available to those who have rights to it and not to others. Libraries, publishers, and content providers are challenged with finding and implementing appropriate standards to implement identity management across platforms and among varied institutions. 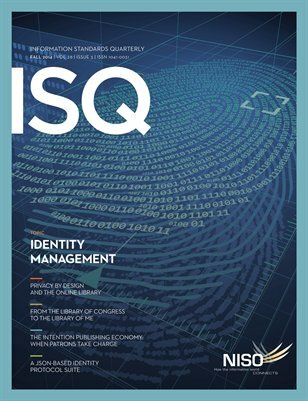 This issue discussed Privacy By Design, OCLC's vision for identity management, JSON standards, and identity management for the Internet of Things.